Buddy Guy’s blues, Cubbie blue, the Blue Line, and ahhh that beautiful blue Lake Michigan. 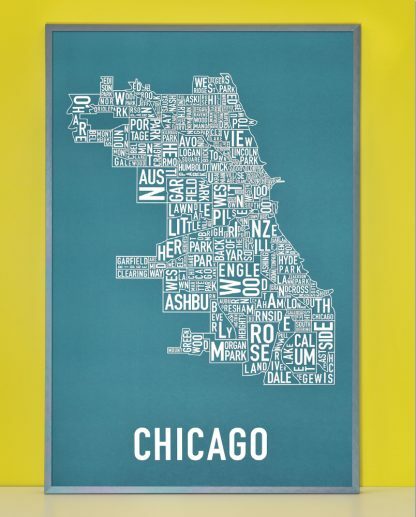 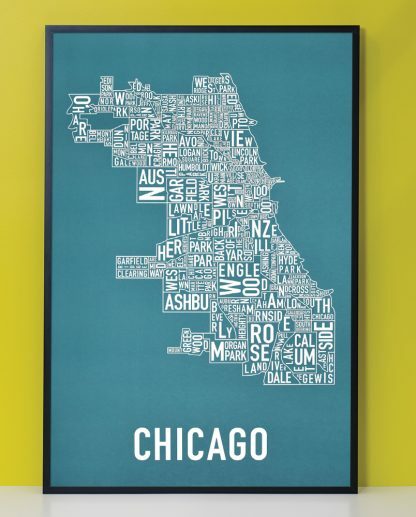 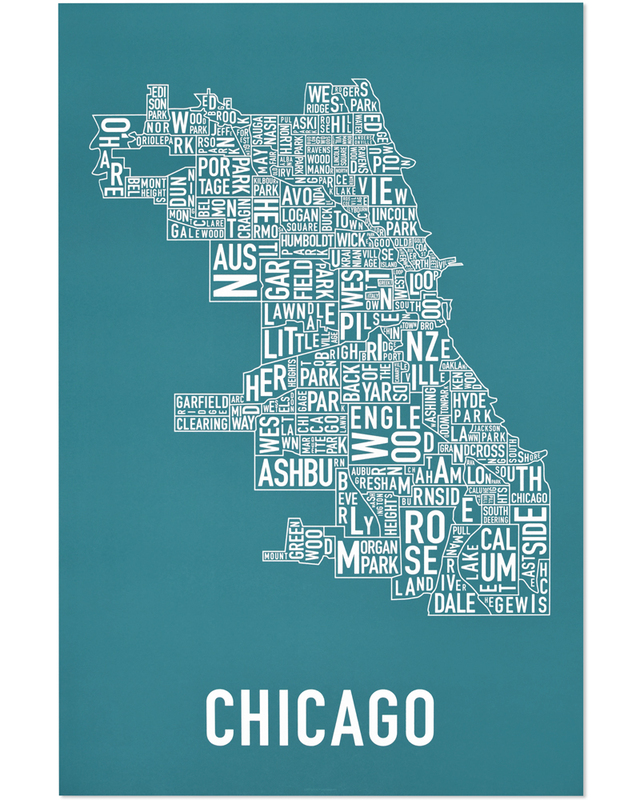 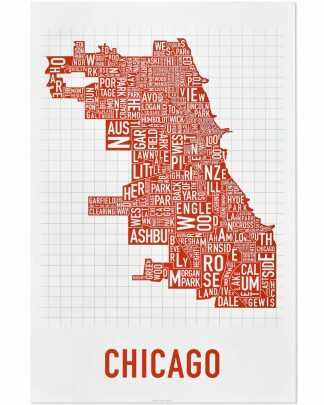 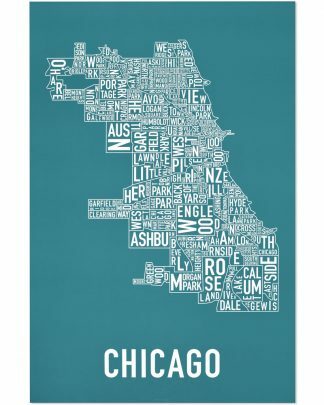 24” x 36” typographic map of the neighborhoods within the city limits of Chicago. 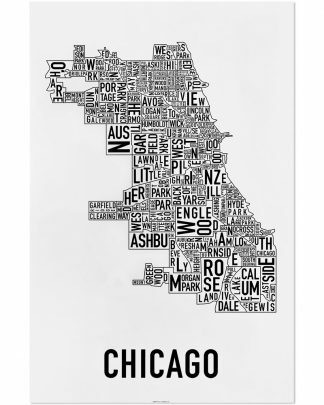 Each neighborhood name is twisted and turned to fit inside the area of the neighborhood.